"Parcours Contemporain 2014", City of Fontenay-le-Comte, Vendée, France. At the crossroads of sculptural element and of natural environment, the achievements of Gilles Bruni are put under the sign of the transitional. The artist takes into account data of surrounding middle and of flow of time. 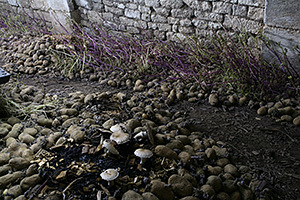 He plays with the succession of seasons and the implementation of a process of production from ephemeral materials.lntegrating the persons living their history on the spot and, including many collaboration and partnerships, the artist blends his question setting of the landscape with the ecological dimension of the place in a large meanning. 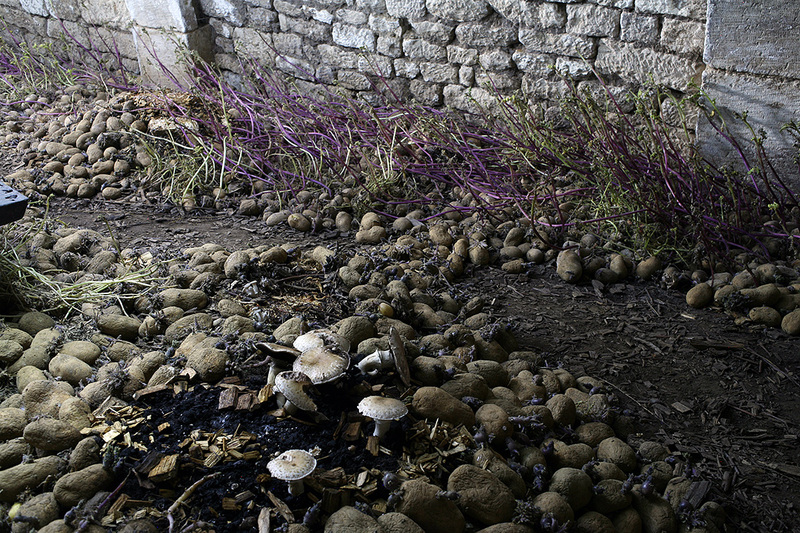 In Fontenay, Gilles Bruni intervenes where he is not waited. 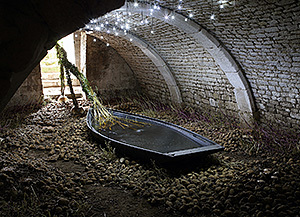 Between the sky, the water and the earth, the artist invested the cellar of the Home Jean Chevolleau, spaces out in the underground imagination. By taking into account physical but also chimerical data of the place, he creates with natural elements a development which speaks of time and about history, about the job of the man and of that of elements, between struggle and complicity. 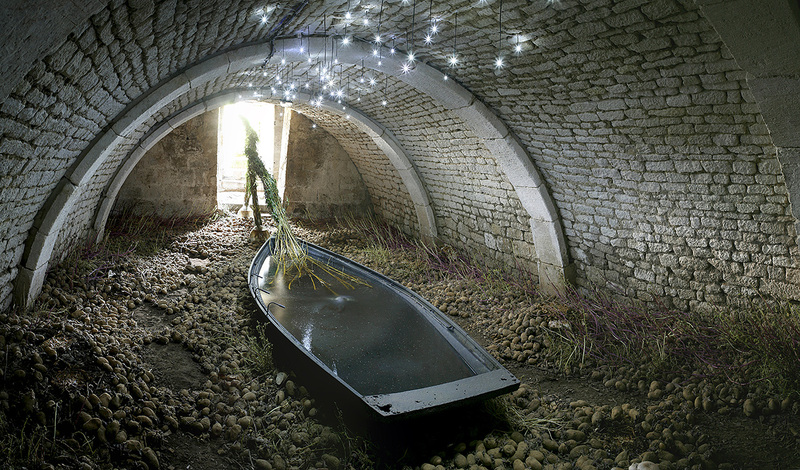 Encircled with germinated potatoes, with mushrooms and with broyat of poplars of the banks of the Vendée river, a tracery of willow and of ash escapes from a small boat filled with water to join the garden, attracted by light. kidnaps us from the material of the earth". Gilles Bruni gets us towards an unknown country.